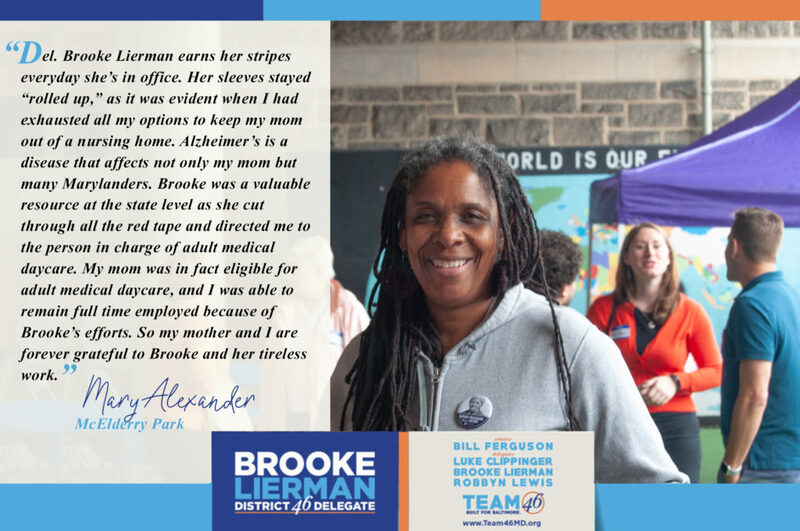 The results are in and I am both excited and honored that the voters of District 46 have elected me as one of the Democratic nominees to the House of Delegates! 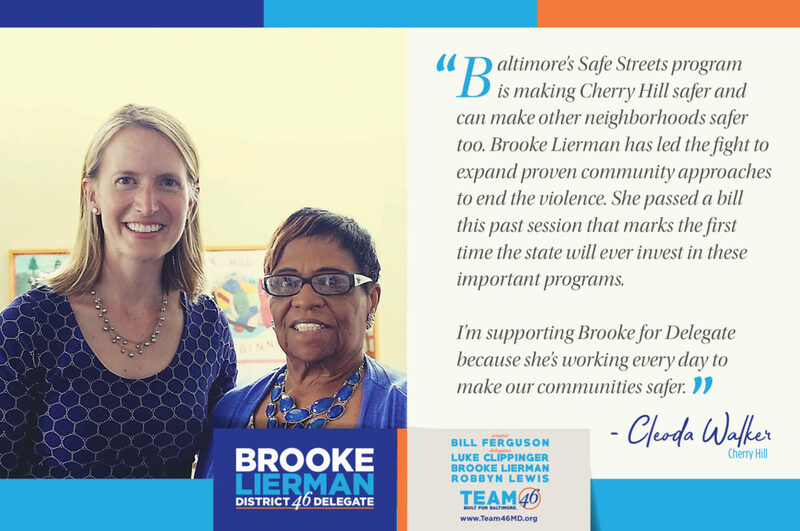 We do have two Republican challengers and nothing is assured, but I am excited about this win and so incredibly grateful to voters for giving me their stamp of approval for the word I did during my first term and saying they want me to continue! Thank you! July 2, 2018 / In Uncategorized / By Brooke Lierman / Comments Off on Thank You! 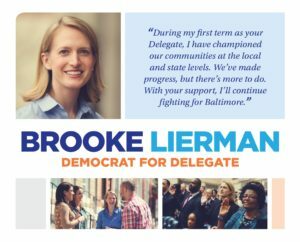 Tomorrow – Tuesday, June 26 – is Election Day in Maryland! Polls open at 7:00 a.m. and close at 8:00 p.m. I hope you will take the time to vote (if you haven’t already) and encourage a few friends to vote as well! Find your polling place here. 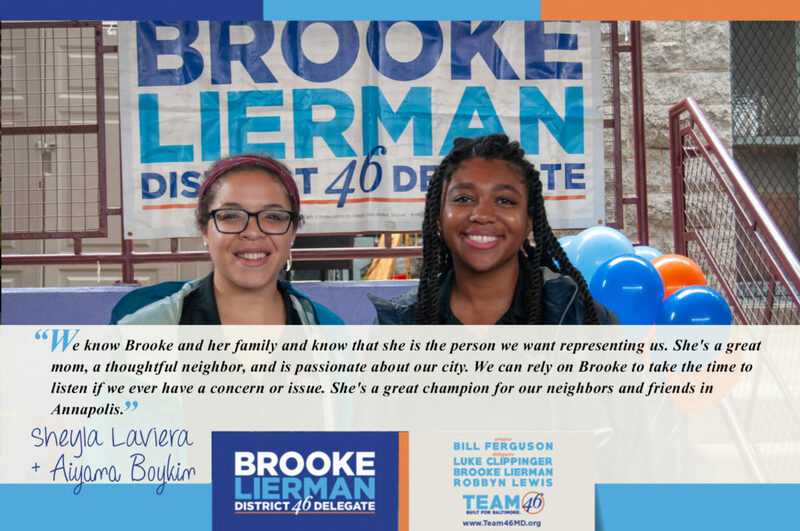 I hope you will vote for all of Team46 – Senator Bill Ferguson, and Delegates Luke Clippinger, Robbyn Lewis and me, Brooke Lierman. Although our country faces many challenges, right now we are facing an extreme and urgent situation as we confront and demand an end to President Trump’s horrific new policy of separating children and parents as they seek asylum in our country. 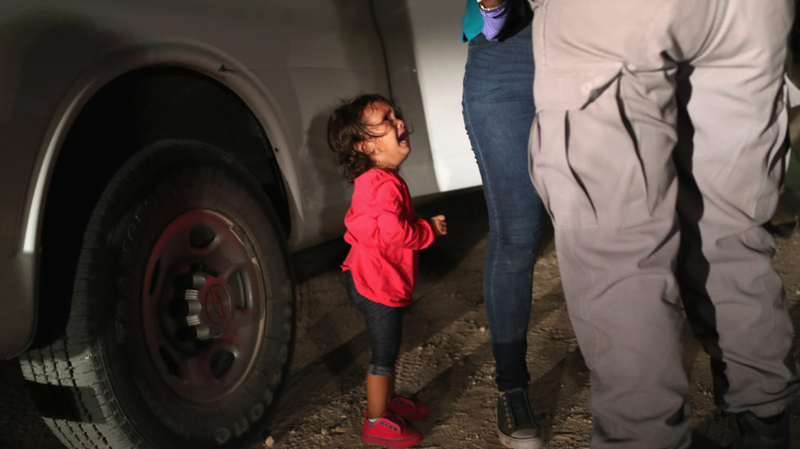 Since May 5, more than two thousand children have been separated from their mothers and fathers and placed in the custody of the government. To say that I am outraged, incensed, and heartbroken by this new practice does not do it justice. There are no words to express the devastation that is being wrought on these migrant families or on our country itself. Indeed, every day the situation grows worse as the number of children increases, the resources are not in place to properly care for them, and their health and well-being is permanently damaged. This policy – enacted unilaterally by President Trump, Attorney General Sessions, and DHS Secretary Nielsen – is a national and moral outrage. It is shameful. This Administration’s family-separation policy is unnecessary, immoral, cruel, and contrary to the aspirations of our country. This type of policy has been practiced in the past by slaveholders, Nazis, and morally repugnant governments. It is not a policy that any moral society should countenance. 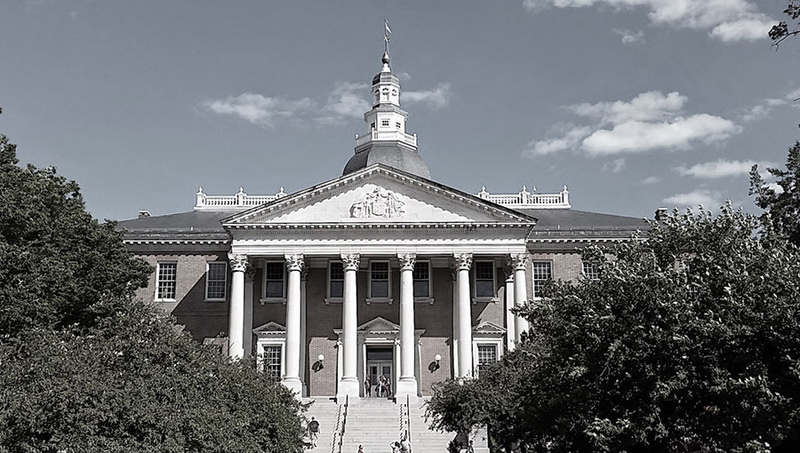 As a state legislator, a parent, and a human being, I will continue to speak up and out against this policy and encourage all Marylanders to do so as well. Our Governor and all our federal elected officials should continue to raise their voices and do all they can to end this horrific policy. Children are not a negotiating tool. I hope that our President, Attorney General, and DHS Secretary will stop this policy and that DHS and other federal employees will actively resist implementing this policy. Don’t understand what’s happening? Read here. 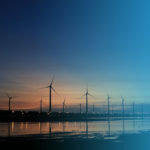 WHAT YOU CAN DO: There are things we can do – and there will be more – so I have created this entry and will continue to update it and add to it as a resource to be shared. 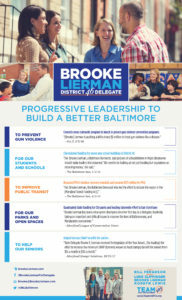 Please send me your links, updates, and ideas to add to it as well: brooke@brookelierman.com. UPDATED AS OF 6/20/18 at 9:30 A.M.
Join the “Families Belong Together Rally” on June 30th in Washington, D.C. and elsewhere. Distributed actions will be planned across the country and you can find more information here: https://act.moveon.org/event/families-belong-together/search/?. Sign and share this petition – This administration has shown signs that it will bend to public pressure. That tells us that if enough of us raise our voices, we can help end family separation. Check out Moms Rising’s Suggestions for Action here. Join the “Families Belong Together Rally” on June 28th in Brownsville, Texas – South Texas is ground zero for this administration’s inhuman practice of family separation. Federal courts in South Texas have been prosecuting people en mass (up to 60 at a time), which has led to mass family separations. Join ACLU, Rio Grande Valley Equal Voice Network, NWDA, United We Dream and more at a rally in front of the Brownsville Federal Court demanding an end to family separation. (RSVP Here and Share on Facebook). We will have buses leaving from Houston, Austin, San Antonio, and Laredo – sign up sheets to come! Volunteer at Sacred Heart Church – Sacred Heart Church is working around the clock to help migrants who have been provisionally cleared and released by Border Protection with temporary papers a future court date (and an ankle monitor in tow). After being processed they are dropped off at the McAllen bus terminal where they wait before leaving to their next destination. The church picks up people from the bus terminal, brings them to their welcome center, and offers them their first warm meal, a bath, a change of clothes, hygiene products, a call home, and assistance with translating their paper work and travel itinerary. They need volunteers to help assist and prepare items for families. Join NETA to deliver food/water to asylum seekers stuck at ports of entry or donate to them here – People currently showing at ports of entry seeking asylum are being denied that right. When they arrive, officers tells them that the port of entry is at capacity and that they’re not processing asylum applicants. This back-log has created long lines of people (+50) who have essentially been living on the bridge, patiently waiting their turn. They’ve been sleeping on the hard concrete floors and have been enduring the Texas heat that reaches up to 110 degrees. Some have been there anywhere from 5 to 17 days, and they arrive with nothing. Join NETA to take these individuals food, water, and other necessities. Be a Volunteer Attorney with ProBar or donate to them here – ProBar, the South Texas Pro Bono Asylum Representation Project. This is a project of the American Bar Association, and they are currently supporting over 1,000 ‘unaccompanied children’ in detention centers. They’re also working hard to reconnect these children with their parents. They’re looking for volunteer attorneys who could help with these children prepare for credible fear interviews (will take several days to a week), and in the longer term help with assistance for bond cases (some of this work could be remote, but would have to be periodically present). I’ve created the google doc above to try to help them identify volunteer attorneys. If you’re unable to volunteer, you could donate here. Serving District 46 during the past four years has been the honor of my life. 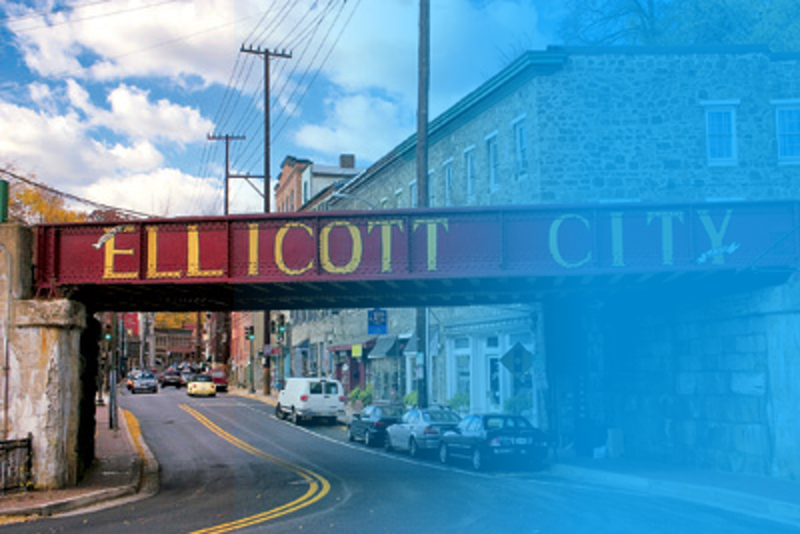 It has been challenging as our City has struggled through difficult times, and it has been continually rewarding, as I have met and worked with people from around the district to build up our City – break barriers and create opportunities. 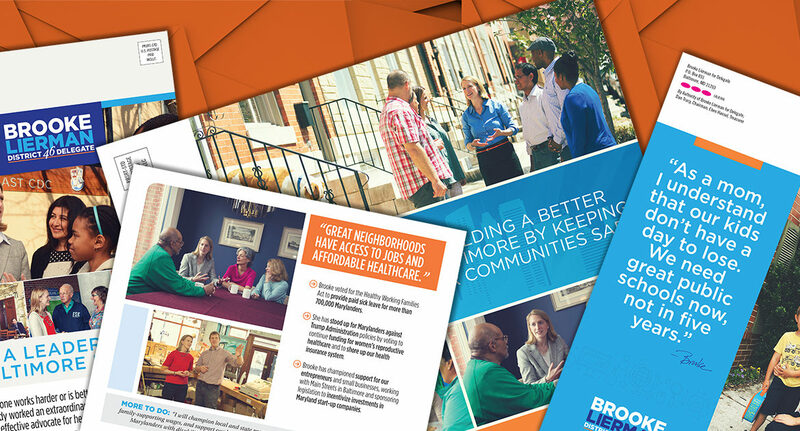 I’m constantly inspired, delighted, and moved by the work that Baltimoreans do to make their neighborhoods, communities, and City a better place for everyone to live. It has been a joy and an honor to work with them – and YOU – to do this work. 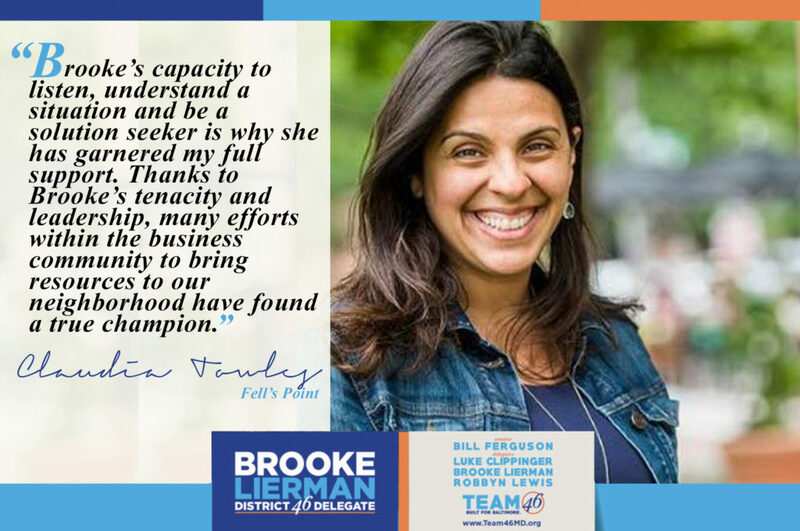 I am so humbled by the endorsements that I have received from so many of those great people that I have worked with around District 46. 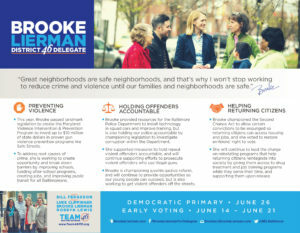 Every other day we’ll add another photo and quote from a District 46 neighbor so check back here throughout the Democratic Primary Election for more Community Endorsements. 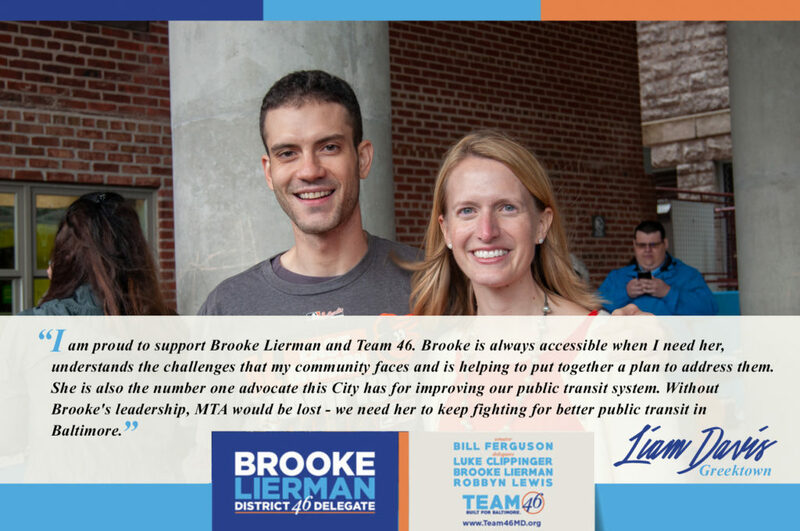 Brooke’s capacity to listen, understand a situation and be a solution seeker is why she has garnered my full support. 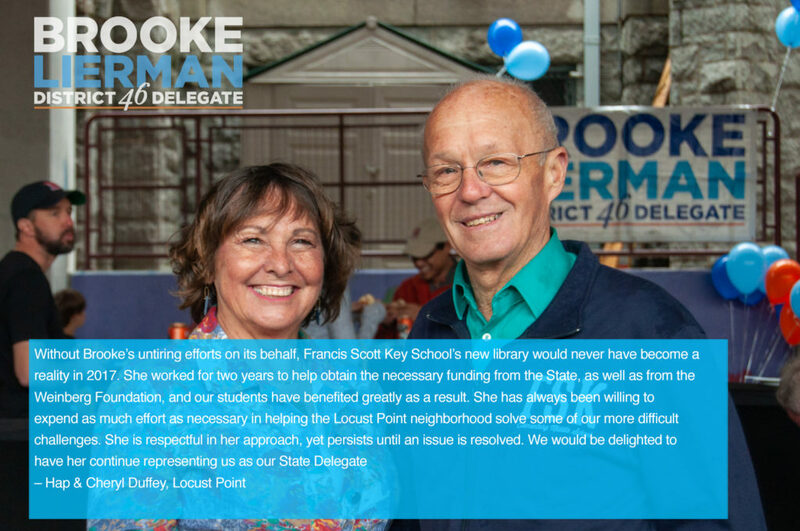 Thanks to Brooke’s tenacity and leadership, many efforts within the business community to bring resources to our neighborhood have found a true champion. 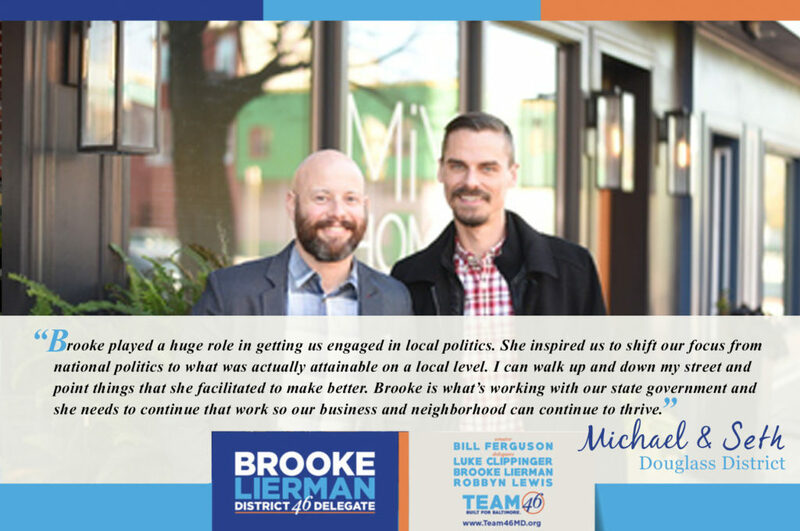 Brooke played a huge role in getting us engaged in local politics. She inspired us to shift our focus from national politics to what was actually attainable on a local level. I can walk up and down my street and point things that she facilitated to make better. 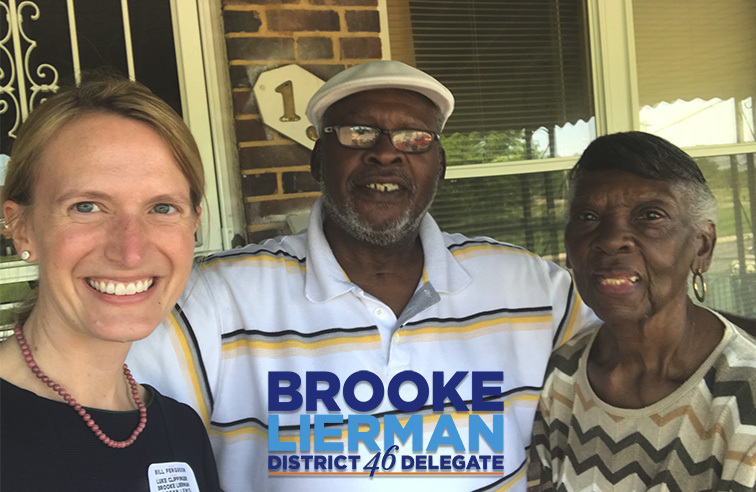 Brooke is what’s working with our state government and she needs to continue that work so our business and neighborhood can continue to thrive. 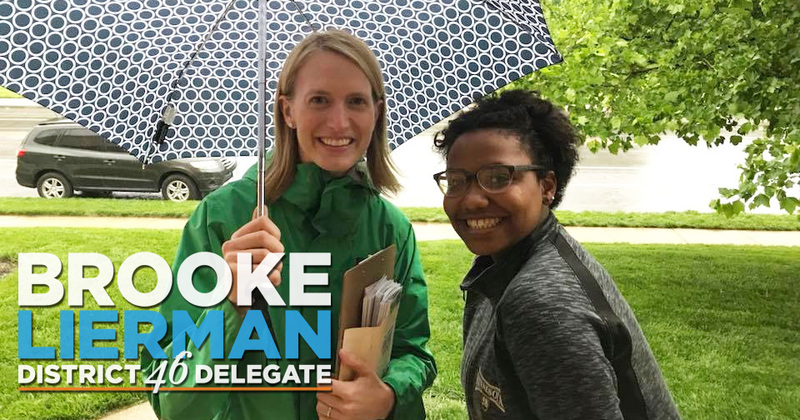 We know Brooke and her family and know that she is the person we want representing us. 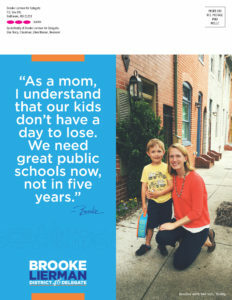 She’s a great mom, a thoughtful neighbor, and is passionate about our city. We can rely on Brooke to take the time to listen if we ever have a concern or issue. 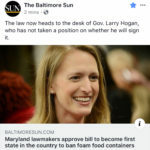 She’s a great champion for our neighbors and friends in Annapolis. In the event of rain tomorrow, our plan is to use the playground at Patterson Park Public Charter School located at the intersection of Baltimore St. and Belnord. If the weather cooperates, we’ll be in the Patterson Park Bull Circle, as originally planned. Remember, the event is from 2pm-4pm tomorrow, June 3rd. If you still haven’t RSVP’d for the picnic, please do so here to make sure you get updates on where we’ll be meeting, eating, and hopefully enjoying some sunshine! I hope everyone had a safe and happy Memorial Day Weekend. nking water, flashlights, or a place to stay. 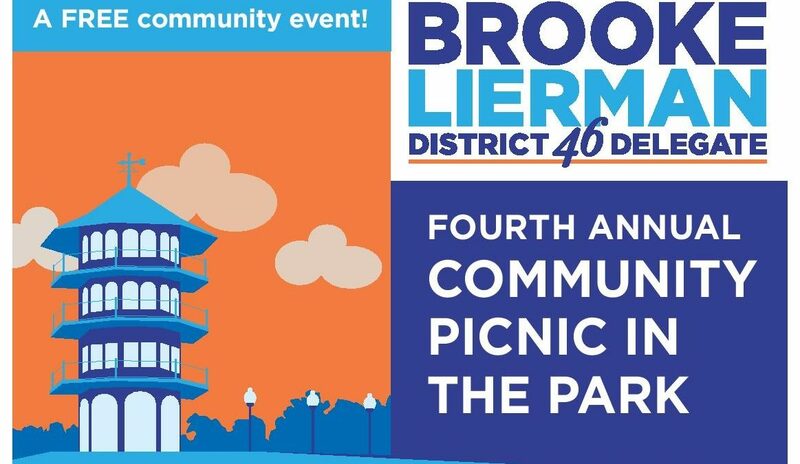 And don’t forget about my Community Picnic in the Park this Sunday, June 3rd! Free BBQ, ice cream, face painting, and more! 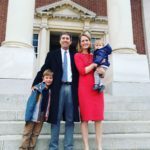 May 29, 2018 / In Uncategorized / By david heilker / Comments Off on Brooke’s New Video!